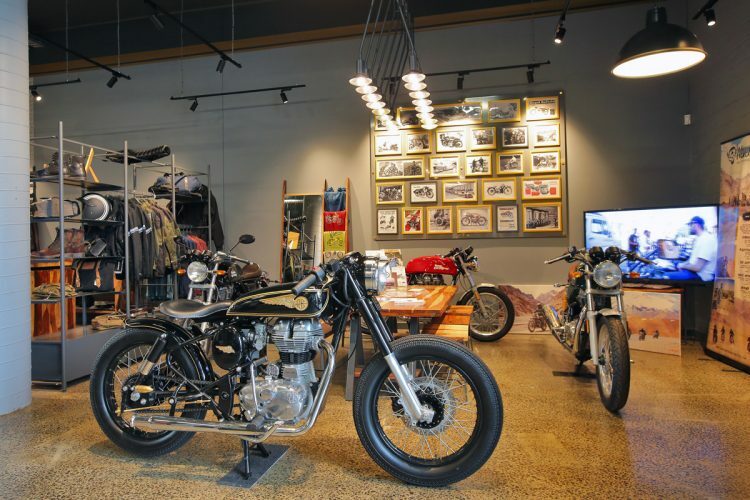 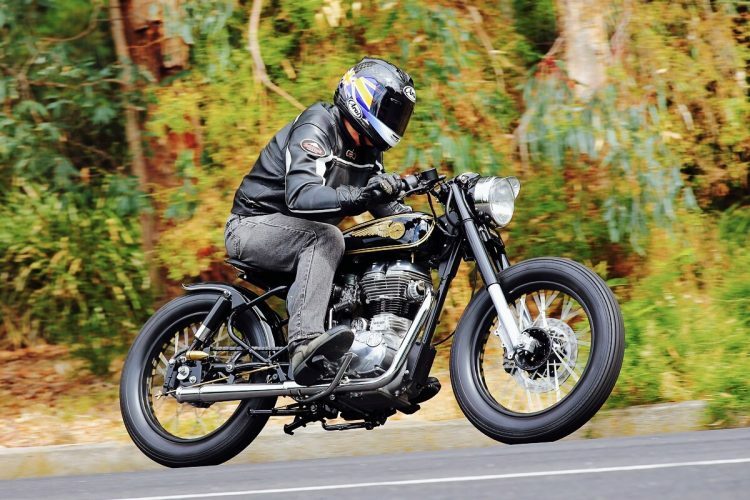 Renowned international motorcycling journalist and test rider Alan Cathcart has ridden Brass Rajah, the stylish Thirties-look custom Royal Enfield built by Melbourne Royal Enfield dealer Mid Life Cycles. 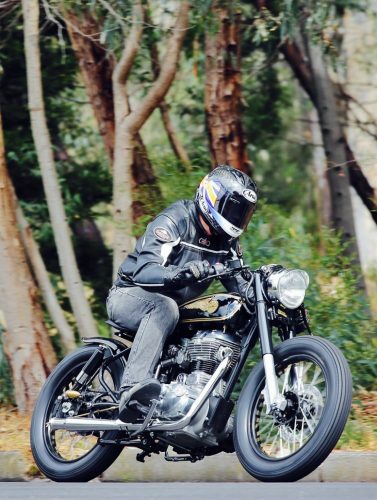 Alan rode Rajah during a recent visit to Melbourne. 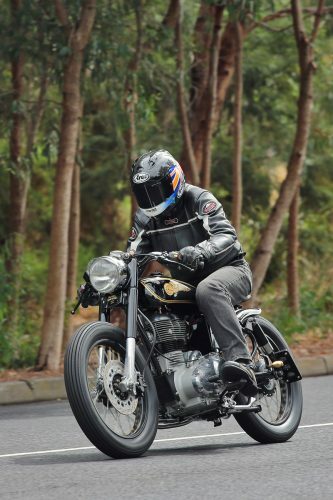 Watch out for Alan’s full riding report in upcoming issues of some of the world’s best motorcycling magazines. 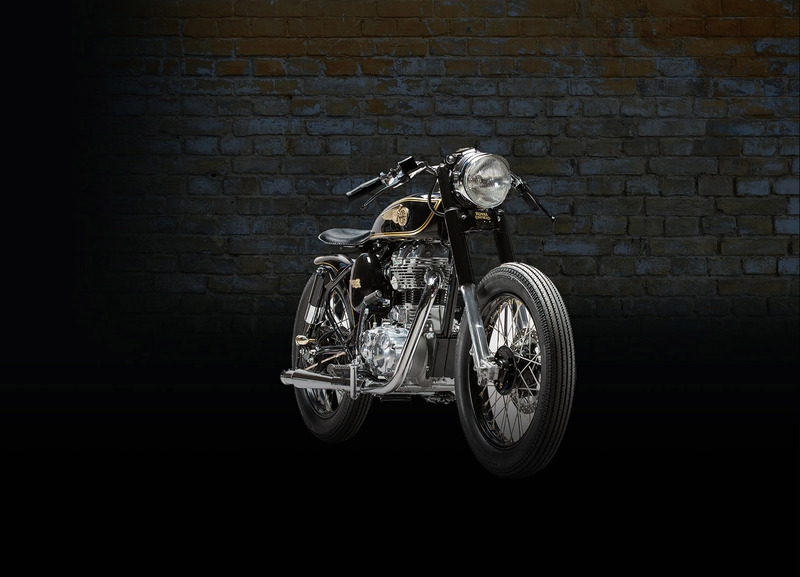 And call into Mid Life Cycles to see Brass Rajah in the metal – and maybe hear the Rajah bark!